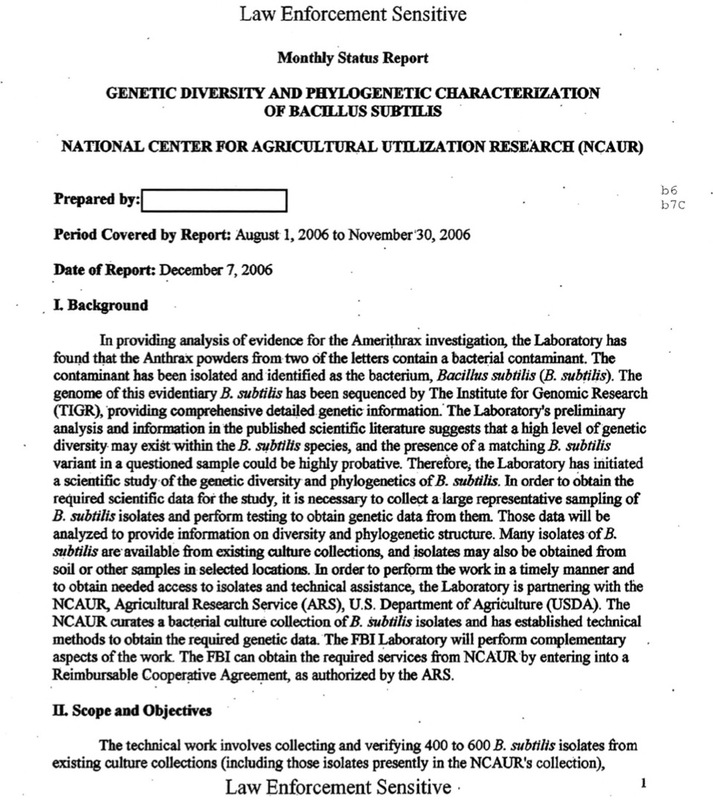 ** NAS anthrax study « CASE CLOSED … what really happened in the 2001 anthrax attacks? 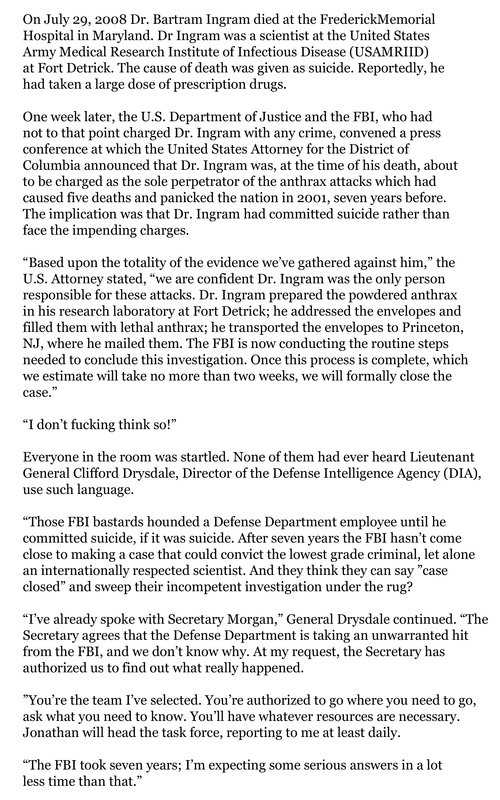 * Tara O’Toole, the undersecretary for biosecurity at Homeland Security Department, says that the FBI did not establish that the anthrax came from USAMRIID but that it was merely the FBI’s “working hypothesis” and a “supposition”; she mentioned other active hypotheses. 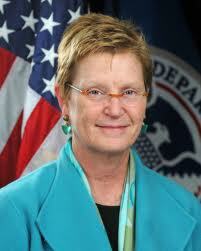 Tara O’Toole is the Undersecretary for Biosecurity at Homeland Security Department. the FBI has not proven that the mailed anthrax came from USAMRIID. 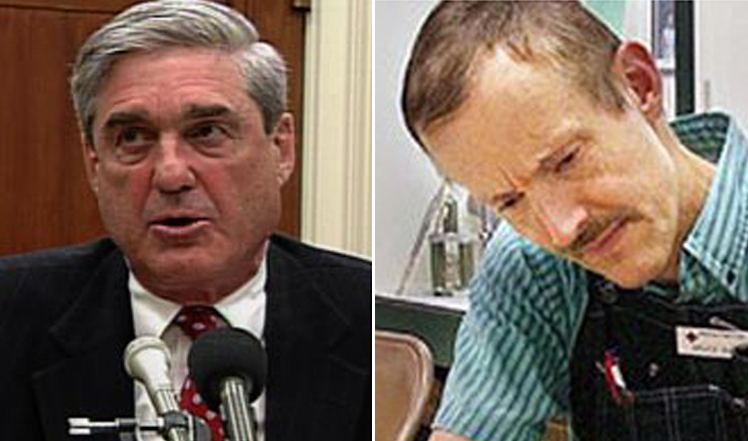 Is it possible that Director Mueller, an intelligent man, doesn't know the FBI has failed to make its case against Dr. Ivins? And what does it mean if he knows but won't admit it? biologists and chemists still disagree on whether federal investigators got the right man and whether the FBI’s long inquiry brushed aside important clues. three scientists argue that distinctive chemicals found in the dried anthrax spores — including the unexpected presence of tin — point to a high degree of manufacturing skill, contrary to federal reassurances that the attack germs were unsophisticated. The scientists make their case in a coming issue of the Journal of Bioterrorism & Biodefense. said the paper raised important questions that should be addressed. had not been fully explored. which her panel never saw. In interviews, the three authors said their analysis suggested that the F.B.I. might have pursued the wrong suspect and that the case should be reopened. Their position may embolden calls for a national commission to investigate the first major bioterrorist attack in American history. 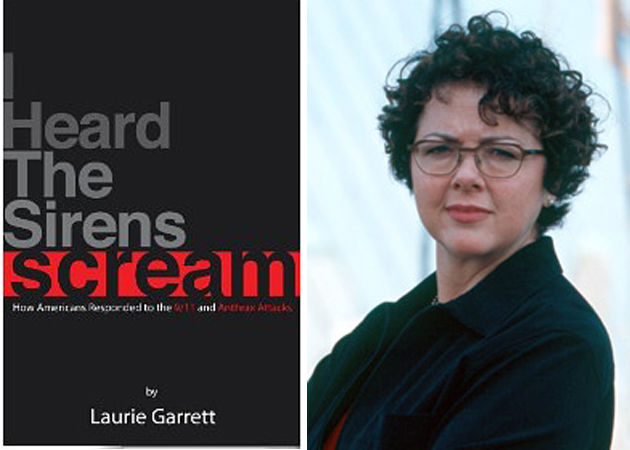 Yet no evidence directly tied Dr. Ivins to the crime. 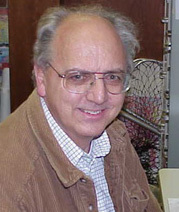 Some of the scientist’s former colleagues have argued that he could not have made the anthrax and that investigators hounded a troubled man to death. 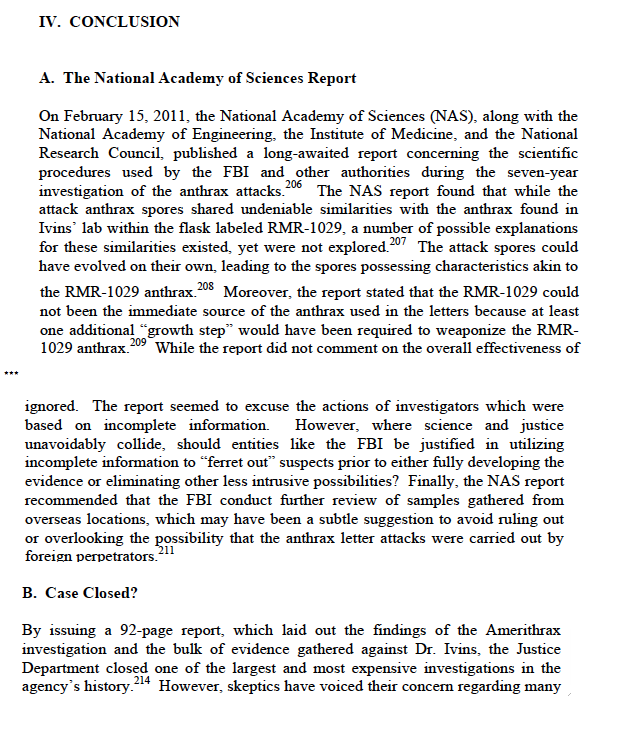 In its report last February, the National Academy of Sciences (NAS) panel sharply criticized some of the F.B.I.’s scientific work, saying the genetic link between the attack anthrax and a supply in Dr. Ivins’s lab was “not as conclusive” as the bureau asserted. If the authors of the new paper are correct about the silicon-tin coating, it appears likely that Dr. Ivins could not have made the anthrax powder alone with the equipment he possessed, as the F.B.I. maintains. or that he was not the perpetrator. I have long held that the FBI’s publicly presented case against Dr. Ivins is clearly bogus: no evidence, no witnesses, an impossible timeline, science that proves innocence instead of guilt. So what really happened? And why doesn’t the FBI offer America a credible story? 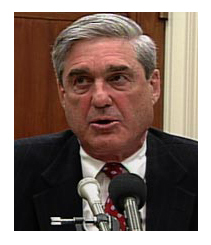 * FBI Director Mueller gets two more years to do the right thing in the Amerithrax investigation. President Obama should direct Mueller to do what needs to be done. It will take an act of Congress to keep Robert Mueller at the helm of the FBI, and all signs indicate that’s precisely what lawmakers will do. No sooner had President Barack Obama announced plans to extend Mueller’s statutorily limited 10-year term to 12 years than Democrats and Republicans alike began to smartly salute the decorated Marine and declare the move a grand idea. 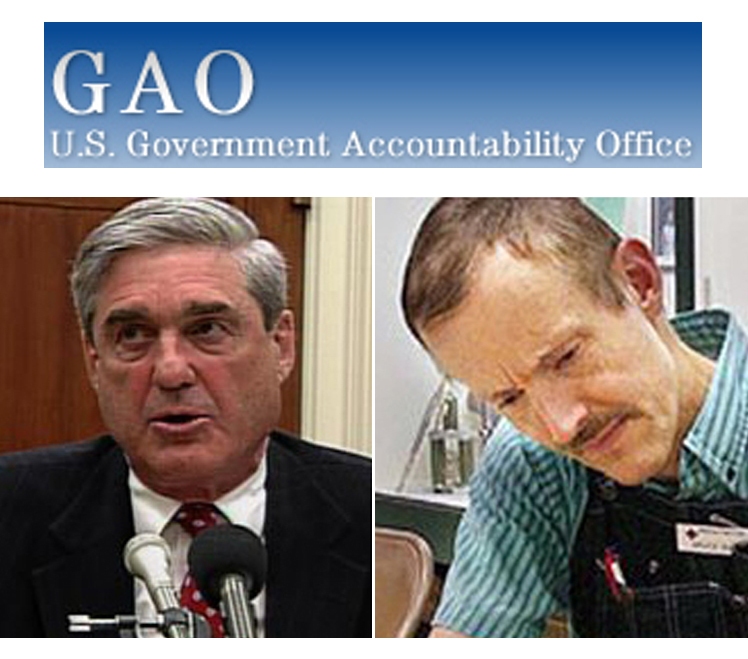 As far as the public can know with such a secretive organization, Robert Mueller has done an excellent job as FBI Director. But, like the rest of us, he is not perfect. The Amerithrax investigation is one area where the FBI has fallen far short of an acceptable mark, and Mueller must take responsibility. The original structure of the investigation, with its changing teams and firewalls to prevent the flow of information, must have had Mueller’s approval, if indeed not his actual direction. 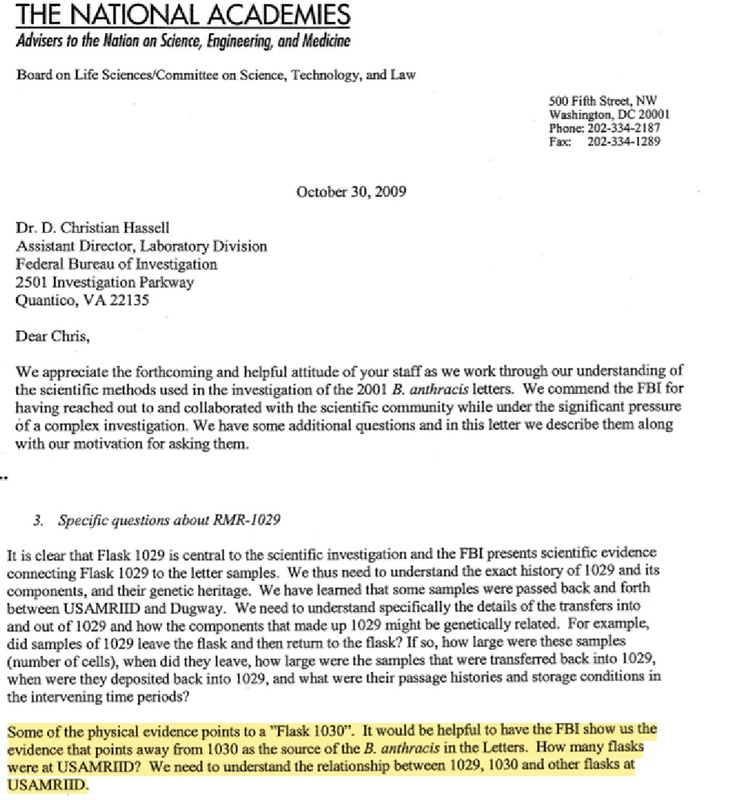 The August 2008 announcement that Ivins was the sole perpetrator was a farce, especially when the FBI offered no evidence that Dr. Ivins was even involved. The FBI’s stonewalling response to Congress and others who have questioned the FBI’s conclusions must lay right at Mueller’s doorstep. to do what should have been done long ago. President Obama has much on his plate. But surely a resolution of who actually attacked the U.S. with the anthrax letters in 2001 must be somewhere among his important priorities. Because, as so many have pointed out, it is likely the perpetrators are still out there, planning to attack again. than the FBI has so far provided.